Reggie is a talented soccer player and graffiti artist who is trying to get to grips with his sexual identity, and map out his own way in life. Reggie’s father is a teacher at his school and wants him to follow an academic route and be ‘more serious’; through the season he struggles to get his dad’s respect and acceptance. Reggie deals with coming out to his two closest friend Bongi and Q; Bongi is very supportive and accepting however Q turns his back on him. Will Reggie decide to ignore what people think about him and be the most authentic version of himself? South African star Given Stuurman has featured in a variety of different roles. 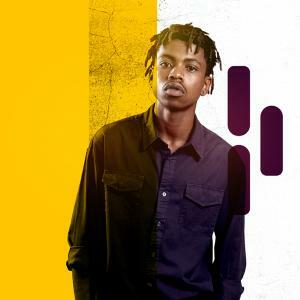 Playing ‘Reggie’ in the brand new season of MTV Shuga: Down South, Given is adding to an already impressive career that includes acting roles in films such as: ‘Straight outta Benoni’, ‘Invictus’ and TV productions, including: ‘Jozi Street’, ‘Walala’ and ‘Tshisha’.